The Yellow Kites are Kendall Ludwig (Indianapolis folk-rock artist and from the all-lap-dulcimer duo, Stories of Clockwork- guitar, dulcimer and vocals) and Erina Ludwig (guitar, harmonium, harmonica and vocals). Erina, hailing from London, UK, and Kendall, from Cory, IN (population 200 minus 1) met in Indianapolis, IN on July the 4th of 2007. Erina was on an around the world trip doing volunteer work and Kendall was on the heels of one of his multitude of jobs. The two arranged a breakfast for the next morning, stayed in touch, and finally went from good friends to boy and girlfriend- thanks to the curiosity of a good friend. They finally made their vows in the crisp fall of 2009. 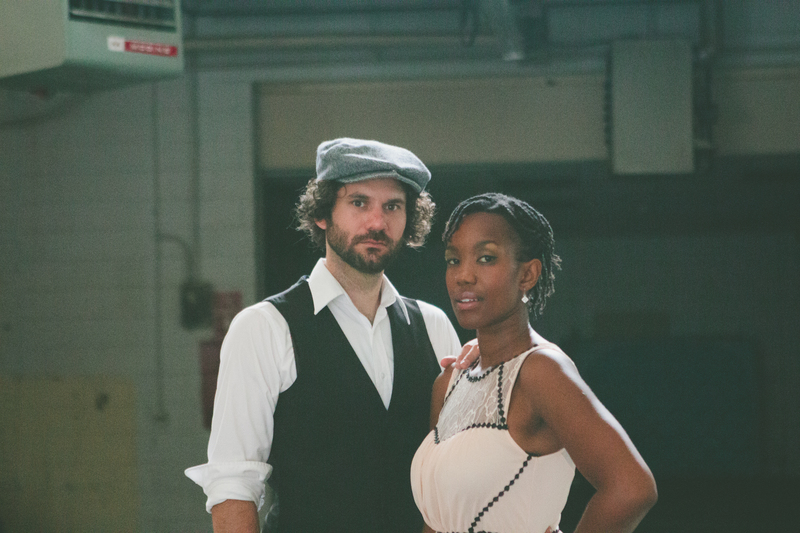 This husband and wife duo have brought together the sounds of classic folk from America to Ireland to East Africa. From upbeat humour-laden songs to those with reflective lyrics played out in their voices and interwoven with the Appalachian dulcimer, harmonica, guitar, harmonium and viola; their music has brought much needed diversity in a heavily saturated scene. There sound which has been described as ‘the organic Civil Wars’ is coined as ‘Americana meets well-traveled folk music with closely melded harmonies’. The band’s name comes from being on Primrose Hill, a place in Camden Town, London, where normally reserved, busy Londoners throw off their suits, become carefree and fly kites all afternoon. That, and that yellow represents happiness. The Yellow Kites simply hope to reintroduce the love of music, sound, life and people back into places where it’s gone missing. They have played shows from London and Rome to Pohang, South Korea, whilst their 2011 tour took them fromnacross the U.S. from New York City to Seattle. They are currently finishing up their sophmore album before hitting the U.S. highways again next summer for their ‘Birds on the Porch 2013 Tour’. Order it online at iTunes, CDbaby, or send $10 to us and a self-addressed stamped envelope and we’ll get you the music in a high-quality, wild-flower embedded download card.